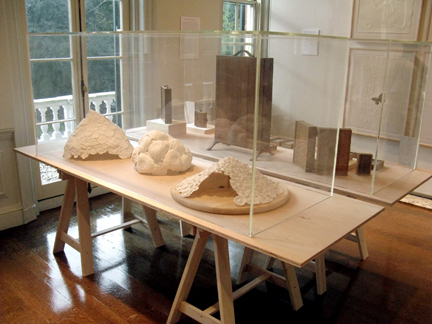 Four constructions of hand-molded cotten linen paper. Construction dimensions vary. Four unique mixed media "reliquary" objects. Dimensions vary. Sixteen cast and engraved polyester resin plate embossed prints on paper, Artist's Proofs. Sheets approximately 30x22in each, Images 12.5x18in each.